2015 71605 17539 1002252 164730 16.43% The total number of overnight stays, like the most of economic trends, raised to the emergence of the global crisis in 2008. Then, the total number of overnight stays in total and in hotels as well, began to decline until 2011, when continued to grow again. 100% 90% 80% 70% 60% 50% 40% 30% 20% 10% 0% 2005. 2006. 2007. 2008. 2009. 2010. 2011. 2012. 2013. 2014. 2015. Comparison of the predicted values for all three models is shown in the following figure. Table 5 shows that the seasonal naive model showed the best forecasting accuracy. However, it was stated earlier that the naive models are usually used as benchmark to other models. Furthermore, according to the criteria of naive benchmarking and other models, the Holt-Winters trend seasonal model´s MAPE is bit higher than a naive model MAPE, but both still show highly accurate forecasting performance (according to Baggio and Klobas criteria, 2011, 151). The Holt-Winters no seasonal model has the highest MAPE (MAPE=16.11) which proved that this model is not appropriate for modelling and forecasting time series which occur seasonal component. Considering above facts, the main hypothesis of this research can be accepted as true; when analysing, modelling and forecasting time series which occur seasonal component the seasonal character of phenomenon must be respected. 5. 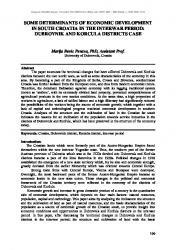 Conclusion At the beginning of the study the authors seek to highlight the role of tourism for the economic development of the Republic of Croatia showing the basic tourism indicators. Finally, the number of employees in tourism, concretely in category Hotels and similar accommodation were modelled and predicted by selected extrapolation methods. Taking into account the seasonal nature of the phenomenon being analysed and reliability criteria of demonstrated forecasts, following methods were used in the paper: seasonal naive model, Holt-Winters Model trend seasonality model and Holt- Winters no seasonal model. Predicted values were compared by forecasting error Mean Absolute Percentage error (MAPE). The results indicated which forecasting methods that take into account the seasonal nature of the phenomenon to be analysed, result in smaller forecasting error and reliable assessment, compared to models which do not take into account the nature of the phenomenon being analysed. EViews 9 Users Guide 1. ISI Global Inc. March 2016. Gardner Jr., Everette, S., & Ed, McKenzie. (1985). Exponential Smoothing: The state of art. 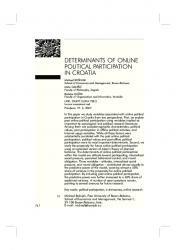 Journal of Forcasting, 4(1), 1-28. https://doi.org/10.1002/for.3980040103 ———. (1989). Note- Seasonal Exponential Smoothing with Damped Trends. Management Science, 35(3), 372-376. https://doi.org/10.1287/mnsc.35.3.372 Gerbing, D. (2016). Time Series Components. School of Business Administration: Portland State University. Retrieved December, 2016, from http://web.pdx.edu/~gerbing/515/Resources/ts.pdf Handahal V. Ravinder. (2013). Determining the Optimal Values of Exponential Smoothing Constants – Does Solver Really Works?. American Jorunal of Business Education, 6(3), 347-360. Hyndman, R. J., & Koehler, A.B. (2005). Another Look at Measures of Forecat Accuracy. 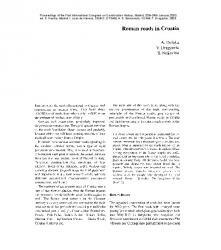 International Journal of Forecasting, 22(4), 1-18. https://doi.org/10.1.1.154.9771. Kožić, I. (2013). Kolika je sezonalnost turizma u Hrvatskoj? 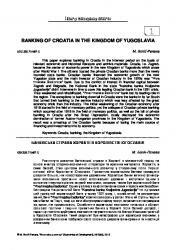 Ekonomski vjesnik, XXVI(2), 470-480. Mamula, M. (2014). Kvantitativne metode u prognoziranju turističke potražnje. Rijeka: vlastita naklada. Mamula, M. (2015). Modelling and Forcasting International Tourism Demand- Evaluation of Forecasting Performance. International Journal of Business Administration, 6(3), 102-112. https://doi.org/10.5430/ijba.v6n3p102 Mladenović, Z., & Nojković, A. (2015). Primenjena analiza vremenskih serija. Beograd: Ekonomski fakultet Univerziteta u Beogradu. Sheldon, P. J. (1993). Forecasting Tourism: Expenditure versus Arrivals. Journal of Travel Research, 32(1), 13-20. https://doi.org/10.1177/004728759303200103 Song, H., Gang, L., Witt, S., & Baogang, F. (2010). Tourism demand modelling and forecasting: How should demand be measured? Tourism Economics, 16(1), 63-81. https://doi.org/10.5367/000000010790872213 Taylor, J. W. (2003). Exponential smoothing with a damped multiplicative trend. International Journal of Forecasting, 19(4), 715-725. https://doi.org/10.1016/S0169-2070(03)00003-7 Note Note 1. Adapted from EViews 9 Users Guide 1. ISI Global Inc. March 2016. 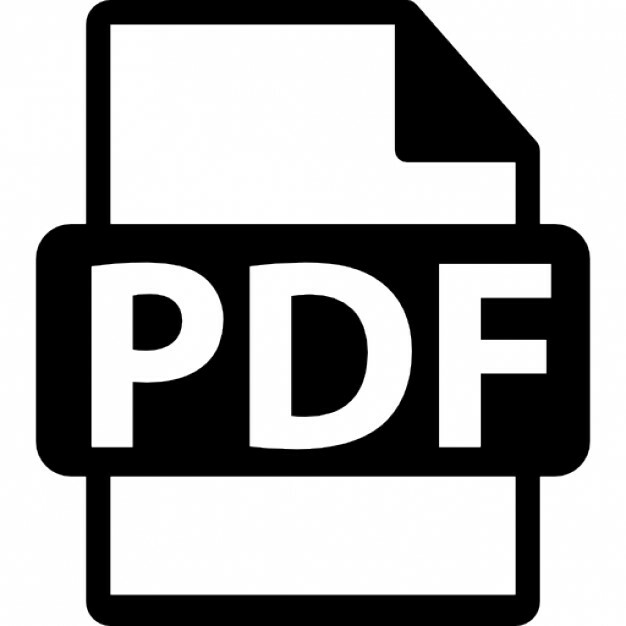 Nov 2, 2016 - MPRA_paper_74833.pdf. Download (527kB) | Preview ... Makalah tidak dipublikasikan, 2009. Ap, J., Mak, B. .